It started as a class on developing leadership skills, but it turned out to be God’s hand working to bring people together through the game of soccer while raising awareness of homelessness. Junior Tony Petruso had signed up for Leadership, a semester-long elective course for juniors and seniors at St. Dominic High School in O’Fallon. On the first day of class, students received the assignment to design a service project that would take the entire semester to plan and execute. Focus on something you’re passionate about, teacher Nancy Holden-Nims told the class. 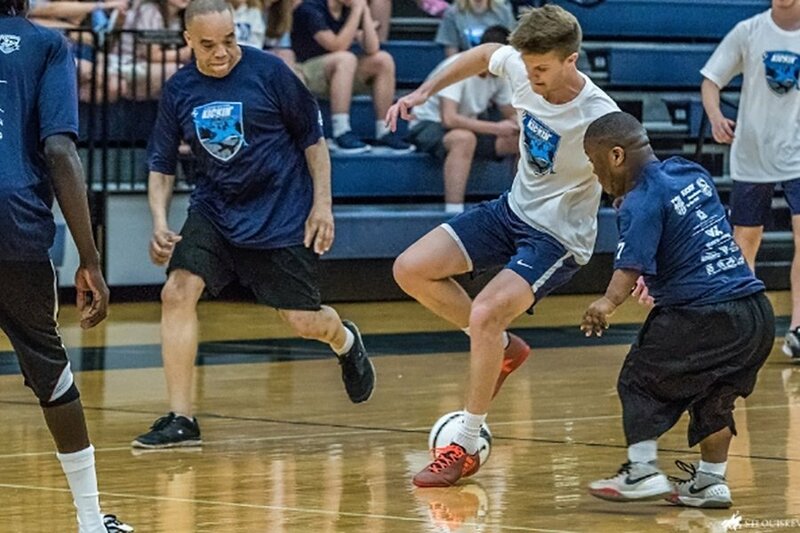 So Petruso took his passion for soccer and organized a game between the St. Dominic boys’ soccer team and the St. Louis Roadies. He planned for donations to go to Peter and Paul Community Services, an ecumenical agency that provides housing and supportive services to people who are homeless, including those with mental illness or HIV/AIDS.